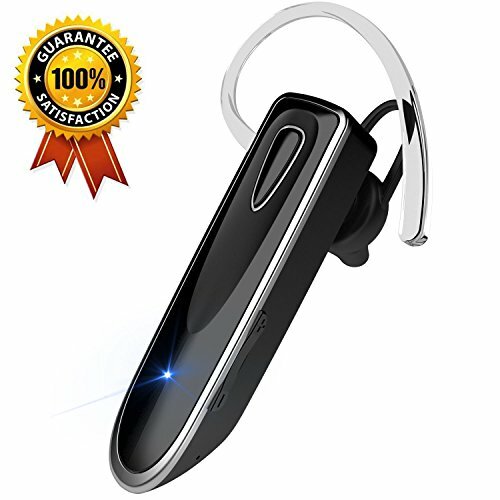 LONG BATTERY LIFE: This Bluetooth headset with mic has 7*24 hours super long standby time, up to 20 hours talking time. Advanced button design supports last dialing, volume control, song skipping, "Siri and other voice assistants" summoning. PAIR WITH ALL SMART PHONES: KLOKOL Bluetooth headset for cell phones is highly compatible with iPhone 7 7s Plus iPhone 6 6S iPhone 5 5c 5s iPhone SE, Samsung Galaxy Note Edge Notepro Galaxy Nexus Galaxy S5 S6 S7 and other iOS and Android smart phone and tablet. If you have any questions about this product by KLOKOL, contact us by completing and submitting the form below. If you are looking for a specif part number, please include it with your message.